Size: 6,500 sq. ft. "AC 3,905sq. ft. Outdoor/Decks 2,594sq.ft." Lot Size: 9644 sq. ft. Sitting high on the Pedregal mountain, this custom built home offers expansive panoramic views to the Pacific Ocean and its magnificent sunsets. 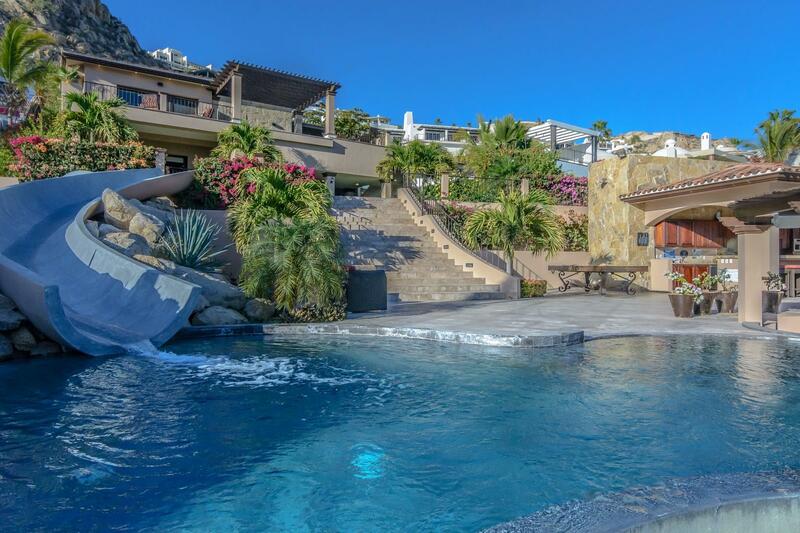 This fabulous home for sale in Los Cabos is located in the private residential community of Pedregal de Cabo San Lucas within a very private street and unbeatable and commanding panoramic views. You can find everything you could ask for in this stunning property.